Need a new boiler in Wakefield? Get FREE no-obligation quotes now! Northern HEATLINK are Gas Safe registered heating engineers who supply and install gas boilers. For similar replacement boiler companies in this area please visit the Wakefield boiler page. 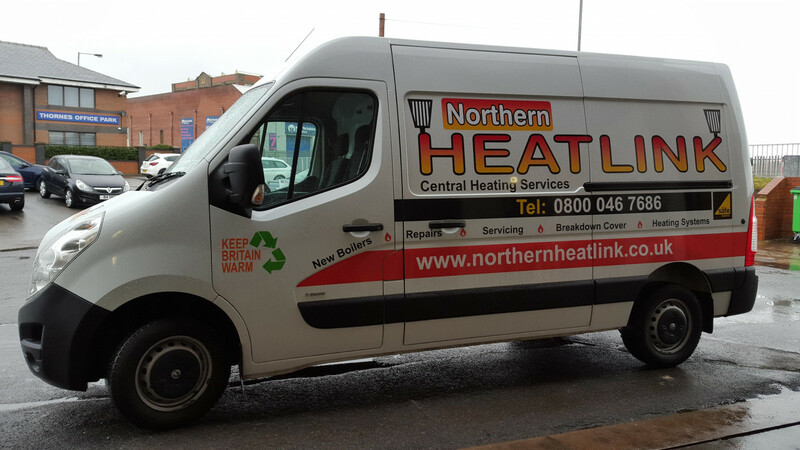 Northern HEATLINK is committed to providing levels of customer service unrivalled in the central heating industry. You can rest assured you are in safe hands with our management and staff, all of whom have many years experience advising on and providing, cost effective and energy efficient options. Since April 2005 Building Regs for England & Wales require that virtually all domestic gas fired boilers installed are high efficiency condensing models. This illustrates just how much the Government is committed to reducing the UK's energy consumption along with harmful emissions of climate changing greenhouse gases such as carbon dioxide. Our findings in general are that customers don't realise just how inefficient their old heating systems really are. We regularly carry out surveys on old boilers that haven't been serviced for a number of years, some of which will be operating at less than 50% efficiency. Not only is safety compromised here, but 50p of every pound spent on gas is effectively wasted. If you'd like to 'lose pounds' off your bills, why not speak to our qualified Energy Efficiency Advisors today by calling us FREE on the 0800 number shown for further details. Northern Heat Link is authorised and regulated by the Financial Conduct Authority FRN 734297. We are a credit broker not a lender and offer facilities from one lender Barclays Partner Finance. I did use them, very prompt, very neat job. Very impressed with install. The boiler will have to prove itself over time obviously. Very pleased with Mike and his team from Northern Heatlink. I requested the quote for my mother in law and living 70 miles away and not actually meeting Mike on the premises was apprehensive about the job being done as she is elderly and lives on her own. I needn’t have worried, Mike’s quote for the best boiler on the market was very good and when I spoke to him over the phone he was very assuring and understanding about the situation. Being retired British Gas engineer myself I could tell he was very knowledgeable about the boiler and the control options it had. The lads that replaced the existing boiler in a day and were very neat and tidy. I have not seen the job myself yet but my mother in law is very pleased with the installation. Very good service. Work was completed quickly and efficiently. Thanks! Visited my house on the same day (Friday)as I spoke to Boilerguide. Comparable quote and able to replace my boiler on the Tuesday. Workmen were excellent. Friendly and explained what they were doing. Very precise work and cleaned up after themselves. Worked through the day till 7pm to complete the job not stopping for lunch. Most impressed. They kept to all dates and appointment times, but the most impressive thing is just how good - and how friendly -the installation teams were. They cleaned up after themselves, made everything good and even did a bit of extra work repairing a floor board. I was very impressed and would recommend them to anyone. They were really competitive with their quote as well; less than half of what British Gas quoted. I'll be happy to talk to anyone thinking of hiring these guys. Great job Jordan Jo and Jack were great lads very friendly and tidied up after them selves - Great boiler hope it is as efficient as it looks. Very good from start to finish. Mick came and gave a quote and was very clear about what was involved. Dave and Jordan came on the agreed date and installed the boiler very efficiently and carefully. The site was left clean and tidy at the end of the job. These two employees are a credit to the company. Excellent service from sales pitch to installation. Others gave their "best deal" but were beaten by Northern Heatlink. Magically some then found further discount and pestered for the business. I stayed with NH and have no regrets. Flawless installation within a week at a time to suit us. Great care taken not to dirty our home. System is running fine. First class company. I have no problem in recommending this company. The work they carried out was excellent. The people were very profesional to deal with and the work was carried out with no fuss. We chose Northern Heatlink to install our new boiler and are extremely pleased we did so. The initial consultation with Mick Neal, sales manager, was very detailed, informative, and professional. This was followed within a couple of days by the installation with his engineers James and Danny, who were polite, friendly , and very reliable. They completed the job with the minimum of disruption and left the site clean and tidy. We would strongly recommend them to other people. John and Mary MacFarlan from Huddersfield. Satisfied that a good job was done installing the boiler. Mick was fantastic, and the lads were very tidy, didn't know they had been. Boiler is running well. Would highly recommend. Quotation and advice was hassle free. Quote was good value. The installation team came as expected and completed the job in the time predicted. Pleased with the finished work. Northern Heat Link provided a very prompt and professional package from first contact through contract sign up, installation, Gas Safe registration, post installation paperwork, follow up call and information regarding the annual service. They did what they said they would do when they said they would with no catches or hidden extras. The pre-sign up discussion was no pressure, the sales manager was an experienced gas safe engineer who understood and answered all technical questions. They provided the best quote, quality of warranty and a reassuring on-going service. The installation team handled the job in one day, showed how the system worked, provided operating booklets and went through the contract paperwork. They also cleared up and left everything tidy before leaving. e company were very professional, contacted me promptly, provided quick quote and decided to go with them immediately. They begun work 2 days later and the boiler engineers were very polite, very clean and tidy in all matters of work, and I trusted that they would do me a good job. On completion, I was delighted with their work, put everything back in its original place, and gave me full instructions on the new boiler functions. I would definitely recommend ! The engineers David and Jack arrived as scheduled, introduced themselves advised the procedures and got on with the job. The installation was completed, and thoroughly explained to our satisfaction ( even the repeated questions) leaving us in no doubt on how to operate the new system. They cleaned up afterwards no problem ,again reassuring we were happy with the working of the new system. After 3 weeks of no hot water and no heating ( while waiting for "spare " parts ) from previous installer, this company gave a quote and installation within a week . Top of my list without doubt and I would recommend Northern Heatlink without any doubt. We have had a new Vaillant Combi Boiler fitted by Northern Heatlink. This involved removing the old boiler from the kitchen and the new boiler fitted in the airing cupboard what an excellent job. The fitting team were very professional and polite I would highly recommend this company to anyone. Northern Heatlink were brilliant, Mick gave advice where needed and answered all questions. Price was very competitive. Installation took a day replacing the boiler and tidying up all the pipe work. only snag we had was with the Nest thermostat but it was sorted immediately. Couldn't be happier with the guys and the work they did. Great speedy service, from booking to installation. Engineers got on with job. Made a mess but cleaned up very well after themselves. Would definitely recommend them. They did all that they promised,came on time ,polite helpful workmen who knew there job thoroughly. The best firm l have ever dealt with ,from start to finish. Mick Neal gave a very good presentation. The team of lads were a credit to the firm,done and dusted in 2.5 days. You wouldn't know they had been. Thank you Northern Heatlink. I would recommend you to anyone. Excellent service by a Yorkshire Company. Very prompt, friendly and the job was well done. Thank you. Very pleased with the installation. The men were punctual, worked very hard on what was a challening job and did not leave a mess. They were very polite and pleasant. The work is complete and all is working fine. I would definitely recommend this company, I am really pleased with them. Great overall service from the initial survey to the boiler installation. The actual boiler installation was tailored to our needs with two visits undertaken, one to cap off the existing supply and remove the boiler and a follow up visit to install the boiler which was sympathetic to other ongoing works. The works were carried out to a high standard. Highly recommended and thank you to Mick and his team. Excellent job, worked a good day to get the heating and hot water back on. Being in the trade do 41 years it's hard these days to trust or find anyone who is competent enough and have pride in what they do. The lads who did the installation were professional, tidy and efficient. I couldn't be more pleased with service provided! Many thanks to Joe+Dan and all involved in the whole process. Mick+Stuart. Lorraine Storer (Mrs). Amazing. Prompt response, discussed what they would do and that's what they did. At a good price too. My tenant is happy which means I am. Our management company (Countrywide/Blundells) wanted to charge a lot more than Northern just to throw a cheap and nasty boiler in. I hate to think how much they would charge for a Vaillant with all the 'extra' service Northern provide. Their annual checkup and gas cert cost also beats Blundells. No hesitation in recommending their services so far. Don't know what happened to the other two companies that should have called. Absolutely brilliant. From the first visit from Mick, to the arrival of the fitters, Dave, Danny and Jack, the whole process was excellent. It was a complete new install of a Central Heating system, and an old boiler replacement. It was not an easy job for the guys, but they worked very hard and fully completed the installation within 3 days and we were up and running. They worked tirelessly for 3 very very long days, and the upheavel was enormous, but to be expected. They cleaned up after themselves as they went along. I cannot praise this Company enough, and would gladly recommend them to anyone. I had my new boiler fitted 2 weeks ago and its fabulous. The boiler is very quiet and easy to adjust the temperature etc. The two young men were lovely, very polite, clean and i couldnt have asked for better service. They showed and told me everything that i needed to know about my new boiler and if i had any problems to just call them. excellent / completed with suggested time scale / engineers friendly and professional at their job. would recommend to all customers . Mick made two visits to us and both times explained fully the programme for installation. Dave and Jack , the two fitters, were unbelievable. I have never had such neat and tidy tradesmen doing work for us. They were excellent, and, even though the planned installation plan had to be changed, they organised the whole job extremely well. A good job done by two really first class people. A credit to their Northern Heatlink. From our first contact with them, they were friendly and professional. The quote was very competitive. The engineers Dave and Jack, we're knowledgeable and friendly. We had a new wet system installed to replace our old warm air system, and a new combination boiler. there was little disruption and minimal mess. I gave them the house keys, and left them to it. Brilliant job @ a great price. Really nice people to deal with. From the very first telephone call Northern Heatlink have been professional and a pleasure to deal with. No haggling on price just a competitive price with no hidden extras.Plumbers and electrician who installed my boiler were tidy, polite and friendly.From broken boiler to brand new working one in 3 days.I would and have recommended Northern Heatlink. Very speedy contact in arranging visit. Friendly sales guy, detailed explanations and competitive quote. Got us booked in quick too, which was vital with a 2 y.o and no boiler. Work guys excellent- tidy friendly and very quick. No hesitation in recommending or using again. We had our new boiler fitted this week it as been a good experience from mick giving us a quote to Adam and Daniel fitting it we had 5 star workmanship I would recommend this company they really do look after there customers a big thank you to everyone. Happy from start to finish. The day we got the quote, date arranged, paperwork signing. They came exactly at the time they said they're coming. Did all work without any fus, cleaned up after themselves. Boiler is working!! Please keep in mind , we had an old rusty boiler in kitchen cabinet, lots of pipes and difficult job. They cut and re shaped the whole thing. Looks good !! We were extremely satisfied with the very professional and efficient service we received from Northern Heatlink. Mick contacted us by telephone and came to see us within a couple of days. We required a complete central heating system installed and Mick carried out a thorough survey and explained all the options. He was able to give us a quote straightaway which we accepted the following day. Mark and Joe did the installation over 3 days, they were great lads and very professional with the work carried out to a high standard. Look forward to seeing them in the near future. Thanks Mick, we would be happy to recommend your company to anyone. My experience with Northern Heatlink was absolutely first class. Having submitted my details via Boilerguide, I promptly received a call from Mick who arranged a visit within a couple of days. When Mick got to my house, he gave me a quote, as well as discussing the best boiler options for my property. I never felt under any pressure to accept the quote, but decided to on the basis of Mick's informative, friendly approach and significant knowledge. Northern Heatlink were also able to offer me a 'buy now, pay later' option which was perfect for my current cash flow situation. Once I had agreed the quote and filled in the paperwork, Mick left my house and called me back within the hour with an installation date of the following week. On the day, the engineers arrived promptly and worked quickly and tidily to finish the job. I was very impressed with the quality of the work completed- everything was made good and left looking neat. Both engineers were very polite and informative, talking me through the new boiler controls and answering any questions I had. The best part for me was when one of the guys saw that my loft radiator had become detached from the wall (this happened a few months ago and would have taken me hours to fix). He offered to reattach it to the wall and did so quickly and neatly- this really impressed me and represented going over and above in terms of customer service. A fantastic experience all in all, I would definitely recommend Northern Heatlink and I'm looking forward to having a warm house for the winter- thanks guys! Heat links salesman mick was prompt,professional and very friendly no hard sale just gave us what we needed and explained everything very simple to me and my wife.The 2 fitters who came were brilliant,they were very tidy,chatty and reassured us on everything about our new boiler.i personally would recommend heat link to anyone. From start to finish the service we received was exceptional. When giving us a quote, Mick talked us through the various options to ensure we were able to make an informed decision based on fact! At no point did we feel pressured into signing! Infact, quite the opposite! Adam and Dan (who fit the boiler) were really nice lads, again keeping us informed as they went about their business. They were both a credit to the company and absolutely carried through the great service already received! Would I recommend this company? Absolutely! Northern Heatlink .A 5 star company, Mick and the fitters were spot on.. Excellent service. Boiler Quotes recommended them to me .Thanks all Pete. Fantastic from quote to finishing the job. Cleaned up as they worked. Would highly recommend this company. Engineer friendly and very professional. Happy customer. More than delighted with the professional service from start to finish, Dave and Joe arrived on time were extremely considerate the standard of work excellent, and I would recommend Northern Heatlink as I could not fault them in any aspect of the service they supplied. Excellent service. Couldn't fault the process from quote to completion. Very pleased with the result and happy to recommend. Within half an hour of making the enquiry online, Mick came out to our house and gave us a quote and the work was done within the week. Very prompt service and friendly people. I would highly recommend Northern Heatlink. This is the best company we have ever dealt with, cannot praise them enough. Everyone was most courteous and helpful. All engineers were excellent, efficient and hard working. I would recommend them. They contacted us quickly, came to discuss what we wanted and gave us a very fair quote,compared to another quote we had received earlier from another company, were able to carry out the work 3 days later and completed in one day. Unfortunately we had to call them back, later as there was a leak from the hot water pipe under the boiler ,but they responded quickly. Not the cheapest quote we got but one we felt comfortable with. Slight problem after the fitting with a leak which was dealt with extremely fast. Mick was here within 30 mins and it was fixed the same day. All in all a great job. Friendly workmen and would recommend them to anyone. Very good service and professional job carried out. Very quick and non disruptive work that has been done over 2 days (relocation of the boiler). Left old one running over night and came back second day to connect only. would recomend very strongly. After a phone call from Northern HEATLINK Mike visited me. He was very friendly and after weighing up the job, sat down with me and discussed his proposal for the job. He told me the price, which I thought was fair.Two days later the job was finished, by two friendly men, who was very professional. Top Marks HEATLINK. Very please with guy who quoted for work. Work men who came to fit were very good and very tidy no mess very pleased. If I have to use the after service I hope this is just as good. After I contacted Boiler Guide, I had an immediate response, by phone, from Northern Heatlink. Their Rep. visited us the next day to discuss which type of boiler we needed and after giving us sound advise, he produced an agreeable quote. The boiler was fitted on 31st March, a day which suited us, by Ian and Joe who were very polite and excellent at their jobs. The electrician came to complete the necessary connections next day. John, my Husband, and I are very pleased with this company and would certainly recommend them. We have agreed to have the system serviced annually by them. The engineers were polite professional, informative and courteous. Would recommend Northern Heat link. These guys did a good quote and took time to check the house/radiators etc. The work was done quickly and to a good standard. Simply superb in every way, Customer service at its best, Nothing was too much trouble all the way. Everyone was a credit to Northern Heatlink. Would I recommend them to anyone? You bet your life I would. Thanks Boiler Guide for recommending them, they have simply been the best. Very professional and hard working team who explained the job and then completed it without any problems at all. Very polite and courteous, would recommend. Whilst we did think the price was high we did get a very quick and efficiant service we would recomend heatlink to anyone who wants a great job doing thanks very much to mick and thank you boilerguide we were very warm over xmas eric pass. Prompt call after request on website! Survey done quickly and efficiently at convenient time. Quote totally acceptable and appointment made for following day. Workers on time, took great care not to dirty carpet, we\'re pleasant and work completed in 3.5 hours! Extremely satisfied with work don. Workmen were friendly and polite, did the majority of work which involved turning of water/gas on the first day, which was good we were only without water for one day. They were hardworking and diligent. The workman who came to talk through the job before it was done was efficient and thorough, the telephone contact was very helpful.Absolutley no concerns whatsoever, and I have recommended Northern Heatlink to friends. Thank you to everyone, I am very happy with my new boiler! 5 star job carried out with efficiency from start to finish.very happy. i think they where very effiecint in dealing with it all and the workmen where great overall the job was done fantastic and would highley recommend. they did a excellent job they came whem they said and i am very happy with the work and would recommend to friends. thank you for the help received from everyone, especially to the 2 chaps that came to replace my boiler they worked damned hard! The overall service I have received has been second to none and I am more than happy with everything and everyone. Northern Heatlink totally professional from start to finish. On time both teams,got on with installation,worked together well. Super job done by a great set of lads. I was really impressed with this company they fitted my new boiler left no mess and went the extra mile to explain each part of the work I would recommend them for both a fair price and a quality service. What fantastic service from start to finish,requested quote for new boiler 11th jan,Mark came to do survey,very friendly with loads of unbiased advice,no cons or pressure sales,after gaining 2 other quotes decided HeatLink should carry out the work,we were booked in for monday 21st jan,having had a heavy snowfall the previous night i expected them to cancel,but at 9am Ian & Mark arrived,and got straight to work,both were really nice lads and showed respect to myself and my property, putting cloths down to protect my floors even to place their tools on,everything was up and running by 3pm,and an electrician was booked for the following day to fit the thermostat,although this was'nt the cheapest quote,this is one of those cases where its definntly worth paying that little bit extra for quality service & workmanship. 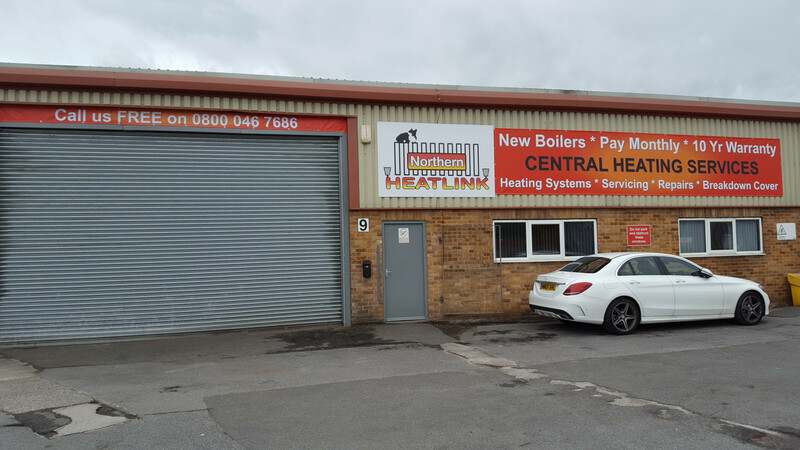 From their initial telephone call, to completing the installation of the new boiler, Northern Heatlink monitored every step of the contract, which was not easy, over the Christmas and New Year holidays. The job was carried out as soon as was possible. Pleasant reliable easy to talk to and everything explained so I could understand. The workmen were punctual efficient and answered all my questions. Very pleased with the whole package and would not hesitate to recommend to others. Good value I thought with a 5 year guarantee. We feel we have had an expert job done at a fair price. Northern Heatlink recommended a Which? best buy boiler, which inceased our confidence in them. For anyone contemplating having new boiler this company is very very good in all aspects. Mick and the team were great, the quote came in midrange but having talked through the work they gave me confidence to proceed. The fitters were friendly, clean fast and professional, no hidden charges and a job well done. We now have a new boiler, warm home, new shower and 5yr guarantee, big thanks to Mick and his team for a job well done. Northern Heatlink provided me with a very professional and quality service from my first dealings with them to the actual fitting of my new boiler.I was highly delighted with their overall level of customer service and would not hesitate to recommend them to anyone. From start to finish this job was carried out in a very professional manner. Mick Neal the estimator was very pleasant and jovial and offered different options for us to consider once we had discussed which system to have i contacted him again and a date was fixed for the installation to be done. Ian and Colin carried out the work excellently with very little fuss or bother. It is so good in this day and age to have conscientious tradesmen. We are highly delighted with our choice of firm and we will certainly recommend them to anyone needing this type of work doing. Well done team and thanks once again for a job well done.!! Wokmanship of the installers is second to none absolutely excellent on that score. The boiler we were quoted would not fit in the agreed location so we had to have a lower spec boiler. Excellent company to deal with. Attentive and efficient. Would highly recommend to friends. Having arranged a starting time and date, Heatlink arrived on time and started at once. The work was completed quickly with no mess and to an extremely high standard. I would have no hesitation in recommending them to any potential cliant. Northern Heatlink have provided an excellent service from beginning to end putting larger national companies to shame. Price was competitive but it was the engineers who really shone. The work was done professionally and the property was kept clean and tidy throughout with disturbance kept to a minimum. Wish we'd done it years ago and would heartily recommend Northern Heatlink to anyone looking to get their heating system updated. A very efficient service from start to finish. Highly recommended. EFFICIENT, QUICK AND TRUSTWORTHY, ALL STAFF WERE A PLEASURE TO TALK TOO, HELPFUL AND POLITE, THE WORK WAS CARRIED OUT WITHIN THE WEEK AND WORKING THE SAME DAY EVEN THOUGH THEY HAD TO DRILL THROUGH MY COTTAGE STONE WALLS, EXCELLENT SERVICE AND RELIABLE TRADESMEN, THE ELECTRICIAN EVEN HELP ME WITH ANOTHER LITTLE PROBLEM I HAS WITH AN OUTSIDE LIGHT BRILLIANT!! HEATLINK Fitters were excellent. HEATLINK worked hard to meet my requirements. Work was completed very quickly and cleanly and ahead of schedule. Would recomend without hesitation. 5 stars across the board! We were contacted literally within seconds of filling out our details on boilerguide! We arranged an appointment for 2 days later with Mick Neil. He is exceptionally friendly and helpful and put us at ease straight away! We weren't expecting this high level of customer service, as we'd already been quoted by a British gas rep! What a refreshing change! Mick promptly priced up the job, without the usual sales "patter" and managed to come in at 50% of our previous quote for a higher spec boilerau clouding a 5 year warranty on the boiler we chose! Ian and Callum fitted the boiler yesterday. They worked tirelessly and left the house in an immaculate state!! I cant recommend Northern Heatlink highly enough! VALUE FOR MONEY AND AN EXCEPTIONAL LEVEL OF CUSTOMER SERVICE! Thank you! Northern Heatlink are a very efficient company who have a very good understanding of how to deal with a customer from the initial contact, to proposal & quotation & finally to acceptance & completion and final follow ups. As a company they want to make sure they have done a good job & that you are satisfied as a customer. They were not the cheapest, but what they did do, was to be clear as to what they were actually recommending/offering, whereas some of the cheaper quotes possibly were not covering specific items or leaving items open to misinterpretation. Check the website beforehand to ensure if any offers or schemes are relevant beforehand. Recommend some form of filter if replacing an old boiler with new. This should be standard. Sales team where great no nonsense they took there time to work out what we needed and didn't try and oversell needless work. Install hit a minor glitch with problems regarding expected and actual dates however this was quickly resolved. Would definitely recommend this company to carry out central heating installation, in fact I already have- to my Mum, and her central heating was installed a week after ours. From the initial point of contact, through surveying to installation, the work was carried out with the utmost professionalism. The installation team were friendly, updated us daily as to progress, and tidied up/hoovered the property every night before leaving for the day. From initial appointment to completed installation was 3 weeks - a well-explained and efficient service throughout. Heatlink were very polite and professional. The came and gave a quote and discussed options. The feeling I got was of professional pride and believed I would get value for money. So far I have not been disappointed. Good company to use, especially with so many cowboys outthere. Although inundated with work the company managed to fit us in within 2 weeks and completed the work in under 3 days, this included removing the old boiler/emersion heater/water tanks/old pipes and radiators, rerouting the new pipes to install the boiler upstairs/new piping and radiators. Well done lads, thanks for an excellent job. Very impressed with the Mick Neal who came out to give us the quote (even coming out again on a Bank Holiday to go through details again): his professionalism and friendliness and explanation of work to be carried out was second to none. Felt that you could trust him 100% and if there are any problems in the future (hopefully not!) these would be sorted quickly. The lads that did the installation (Gary & Ian) were very friendly and explained everything that was going to happen in detail. They carried out the work meticulously and thankfully with not too much mess! (to be expected). They had a difficult time trying to feed the gas cable from outside the house under the lounge floor into the kitchen and I felt for them in the unseasonal October heatwave we are having as it was hot work! As mentioned, at the moment we are having a heatwave, so we have not been able to test out the heating side of it yet as it would be too hot(tho I have no doubt that there will be no problems with this). 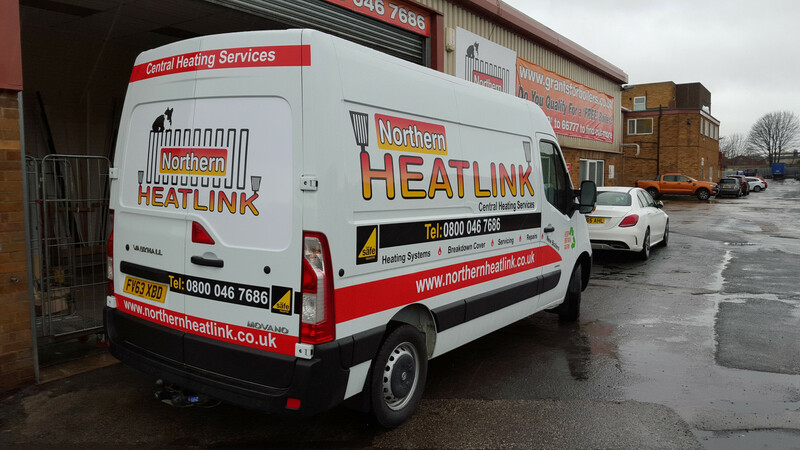 All in all we have been extremely satisfied with Northern Heatlink and would not hesitate to recommend them! Thank you. Very good service, not the cheapest quote or the dearest but the company gave you pease of mined with the professionalism from start to finish. Friendly and helpful. Nice to see apprentices being trained in today's climate. Northern Heatlink were very helpful and professional. All work carried out within the day and to a high standard I would definitely recommend to anyone. The team who carried out the work were very good and friendly. All in all top job, really pleased. Thankyou. They were very quick to make the appointment, all staff were very professional. I would definately recommend this company. We choose Nothern Heatlink after reading other reviews about there work although they were not the cheapest quote we had, we felt confident from the other review to choose this company. We are really pleased with the work they carried out. Replacing exhisting boiler and moving to downstairs utility. They quoted the work would last two days and they were correct, the workman were really helpful their work was really neat and tidy. I can not find anything negative to say about this company and would have no hesitation recommending them to anyone else. The communications were excellent, including visits before and after the installation. The work was carried out promptly and professionally by a happy and friendly team. We were most impressed by the performance of the boiler and the radio controlled thermostat unit. We would not hesitate to recommend Northern Heat Link to others. This is a case of 'promises fulfilled'. lads and they go out of there way to make the whole job as easy and stress free as possible,and as a bonus they do a professional job as well,what more can you ask for i would recommend them to anyone. nice work thanks. Excellent service from initial contact by telephone and email through to the surveyor's visit and the installation which were all arranged to fit into my work schedule. I would highly recommend this company for their professional and friendly service.